I’ve been following Suarez’s per90 scoring rate since November, when I noted he was scoring at about the same rate as Ronaldo. Since that time, he’s actually sped up. His current rate is 1.55 goals per90 minutes, which would give him, ohhhhh, 58 goals from 38 games. Let’s put this into context. First of all, that rate is faster than 14 of the other 19 teams in the Premier League, by himself. But how does he compare to the two giants of modern times? Ronaldo scored at 1.12 G/90 in the league last season. His best season was “only” 1.23. Messi was 1.58 last year, his best season for scoring rate. So far this year, Suarez is matching Messi’s best season and he’s .3 goals per 90 minutes better than any Ronaldo has ever had! In the Premier League. HOW IS THAT EVEN POSSIBLE?!?!?! I have a theory right now about managers, where statistical analysis can lend a very good framework to evaluation. Shot Dominance (the ratio of shots a team creates and concedes against an average opponent) is a good baseline, and then it can be colored in by shots on target information, shot location information, possession, counter-attack goals, and maybe one or two other things. Essentially, how a team fares in the shots battle is the most important driver to success. Even managers that have funky systems like Simeone at Atletico Madrid (who are one of the very few Champions League squads with under 50% possession across a season), still grade extremely well in the shot ratios. A manager whose team counter-attacks regularly is likely more valuable than one that does not, as that type of tactical setup and flexibility is an important trait in posting long-term success. Anyway, all of this is just a theory right now because the data is just coming available for teams and managers across multiple years. We’re also just now seeing how managers who post good Shot Dominance scores at teams with poor talent (like Martinez at Wigan or Pochettino at Espanyol) fare with new jobs and better personnel. I mentioned when he was sacked that Pepe Mel looked like exactly that sort of candidate, making him a good hire for another club. Markus Weinzierl from Augsburg looks like another. There are more of these managers, scattered across Europe, and we’re building a database stretching back at least 4 seasons to help scout them out and do further research. 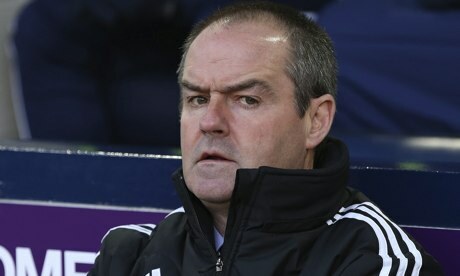 Steve Clarke at West Brom was basically average. Shot Dominance was about what you expected from a club like WBA, though they were slightly below average in shots on target concessions on both ends of the pitch. He’ll probably get another job and do fine, but it wasn’t a big shock that he was sacked, with West Brom’s recent form looking terrible and their table position close to the danger zone. I’ll try (and probably fail) and keep this fairly short, since I’ve written about AVB and Spurs quite a bit already this season. I have been a fairly staunch supporter of the Portugeuser analytically, but this weekend made it a lot harder. The naivety displayed in both the tactical setup -a suicidal adherence to the high line despite a patchwork defense and the most lethal counterattacking squad in the land- and personnel -playing Rose on Thursday when extra rest and even 45 minutes would have helped against Suarez and Sterling, the attacking setup… AGAIN- left even AVB’s supporters scratching their heads. The scoreboard obviously did the rest. Liverpool’s first goal felt like an anagram of what Newcastle did at White Hart Lane last month – the events were in a slight different order, but it spelled out nearly the same goal. Press the weak spots, close down any actual passers in the Spurs lineup (of which there were few, which made it easier), and then attack with pace behind a slow, bewildered back line that is playing too high. The difference is that against Newcastle, Spurs dominated the rest of the match and were unlucky to lose. Against Liverpool, they were annihilated. Taking a step back from that particular match, I think AVB did himself in with a combination of taking shots at the home support (something you can never, ever do in the way he did), and not playing the talent Baldini purchased. Stubborn adherence to his tactical system when clear changes were required and the subsequent results just gave Levy an excuse. And make no mistake, Spurs are talented. People have been taking shots at Baldini’s summer spree in the wake of some bad results and Spurs’ offensive failures, but how many of those guys – especially the creative ones – played? Eriksen has five league starts. Holtby the same. Lamela, he of the £30M move and 15G/5A last season, who is widely considered one of Europe’s top young talents by anyone with a clue? Two starts. Baldini deserves criticism for Soldado, and maybe for not finding a left wing and left back depth, but the younger guys Spurs bought have been good in the past and will be good again. Would I have fired him based on his performance? No, not yet. They are still in striking distance of a Champions League spot. But if there’s other stuff going on behind the scenes that we don’t hear about? I said it on Twitter ages ago, but you can picture scenes from Moneyball taking place at Spurs. Daniel Levy: I should have made you a bigger part of the conversation from day one. That way we’d be clear what we’re trying to do here. That was my mistake, Andre, and I take responsibility for that. AVB: What are you trying to say? Daniel Levy: I’m saying it doesn’t matter what moves I make if you don’t play the team they way they’re designed to be played. AVB: Daniel, you’re out of your depth. Daniel Levy: Why not Lamela on the right? AVB: Because he can’t play there. Daniel Levy: How do you know? AVB: It’s not my first football match. Lamela can’t play in the Premier League. He can’t score and he only has one foot. Daniel Levy: Could this be about not letting you go to PSG? AVB: No. This is about you doing your job and me doing mine. Mine’s being left alone to manage this team you assembled for me. Daniel Levy: I didn’t assemble it for you, Andre. Daniel Levy: Good meeting. Every time we talk, I’m reinvigorated by my love of the game. Daniel Levy: You can’t start Townsend on the right tonight, you’ll have to start Lamela. AVB: Yeah, I don’t wanna go through ten rounds, Levy. The team sheet is mine. And that’s all, okay? Daniel Levy: The team sheet is definitely yours, I’m just saying you can’t start Townsend. AVB: Well, I am starting him on the right. Daniel Levy: I don’t think so, he plays for QPR now. AVB looks at him in shock. AVB: You are outside your mind! Daniel Levy: Defoe’s gone too. AVB: You’re killing this team. Daniel Levy: Andre, I can do this all day long. AVB: Hey, you agreed with this? I would say this is one of the more unusual stats lines you will see, but it keeps happening in Atletico Madrid matches. Total dominance in shots and shots on target crossed with 48% possession, against an inferior team, at home. What Simeone is doing at Atletico is worth watching and studying. Our model grades them as one of the top 2 teams in Spain, and has all year long. They have a unique system that, despite not caring about controlling possession, is capable of dominating the shots battle and the scoreboard. They are extremely hard to break down defensively. And they have a well of young talent that is as impressive as anywhere in Europe. I kept hearing people hope to face Simeone’s club in the lead up to the Champions League draw. Outside of Bayern Munich, they were the team I least wanted Arsenal to face. They play a fundamentally different style to most elite teams, you can’t counter attack against them, and they have a ton of different angles of attack. Looking for a CL dark horse? It’s these guys. Good luck to Muntari and AC Milan – you got the opponent you said you were hoping for. I doubt that is going to turn out very well for you in the end. Arsenal looked seriously leggy this weekend, which is no real surprise considering how many matches most of their best players have played in the first half of the season. I did the calculation during the City match, and Ramsey had already played something like 500 more minutes at the club level this season than Aguero. A lot of this is complicated by Arsenal injuries earlier in the season that shrunk the squad size. Those guys are coming healthy now, but the others have a lot of miles on them compared to Chelsea or City’s men, which is probably lowering their performance levels. Anyway, fatigue is a thing, and November and December are when it typically bites down hard. Liverpool and Everton don’t have European football to contend with. This could end up being really important by the time March roles around and we see who is in pole position for those final CL slots at the end of the season. Arsenal are lucky enough to have a nine day break before heading into the holiday fixtures. That should be enough recovery time to freshen them up, but their hold on first place is tenuous at best. I have stated on Twitter how much I enjoyed this book and I wanted to give it another recommendation here in print. 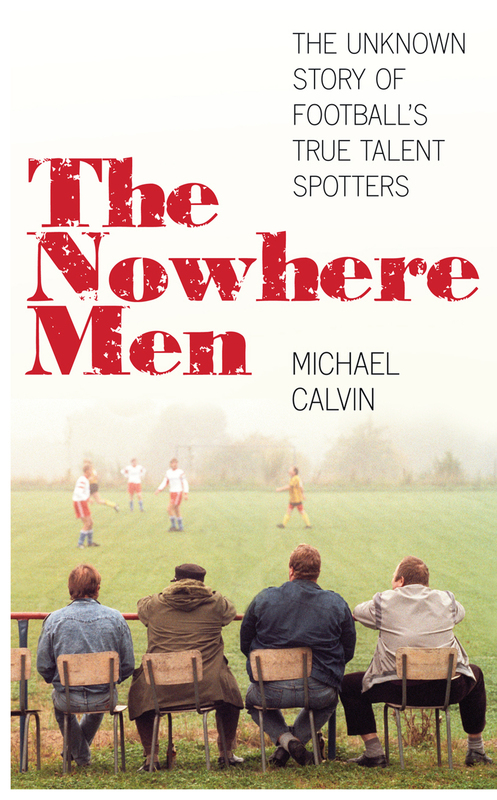 Michael Calvin’s book is an in-depth look at the world of English scouts, and it’s told mostly as a series of scouts talking about their lives and telling stories. However, it also has some balanced info about how clubs work, the role analytics is now taking at the club level, and some background info on Damien Comolli in particular that just made me laugh. There’s a section in there discussing Matthew Benham, owner of Brentford FC as well as the Smartodds betting hedge fund that I found really enjoyable. Anyway, I found the book to be a great read and wholeheartedly recommend it for yourself or as a Christmas gift. 16 matches into the season, Nurnberg have a record of 0-10-6. That’s 62.5% draws through nearly half a league season. The highest number of draws through an entire season in recent times is 14. Nurnberg could hit that by mid-February. Speaking of draws, Daniel Storey tweeted a great stat this weekend: West Ham have more 0-0 scorelines this season than the entire Bundesliga. Assuming AVB keeps his job, who would you rather be right now: David Moyes or AVB? AVB is taking fire from media and fans for the giant losses against Manchester City and Liverpool. David Moyes won this weekend (against a horrific Villa defense), so it’s quieter, but United are still in 8th place… two points behind Spurs. I read something in the Telegraph this weekend that estimated 2 billion is spent per day on sports betting. That equates to 730B for a year, which would put sports betting on par with one of the Top 20 GDP nations on the planet. Like… the Netherlands. Having worked on both sides of the industry, and knowing that people in the world’s largest economy (the United States) basically can’t bet on sport, I am dubious as to whether this number approaches reality.